Among the many delights of John Julius Norwich’s superlative Byzantium trilogy is a huge and astonishingly varied number of ways to inflict pain on human beings. I’m not even halfway through volume two and already towns of heretics have been immolated, enfeebled Emperors have had their hands hacked off and turbulent clerics have been blinded by being forced to stare into steaming bowls of retina-wrecking concoctions. Even those with no interest in the history of late antiquity and the early middle ages will find much to enjoy in the gory details. None quite match the fate meted out to Theodore and Theophanes, two ninth-century writers from Palestine. Without going into too much of the story, these two scribes were iconodules, or fond of icon veneration, one of the most divisive issues the Byzantines had to deal with. At the height of Emperor Theophilus’ anti-iconographic reign (829-42) the boys were brought to Constantinople and given the standard beating and flogging to change their minds, but they declined. It was then that they were held down and had twelve lines of ‘abusive lampoonery’ tattooed on their faces. And that, poor quality of verse or not, was intended to be a lesson to Theo and Theo, who were promptly dispatched to Apamea, forever branded with unkind verse. 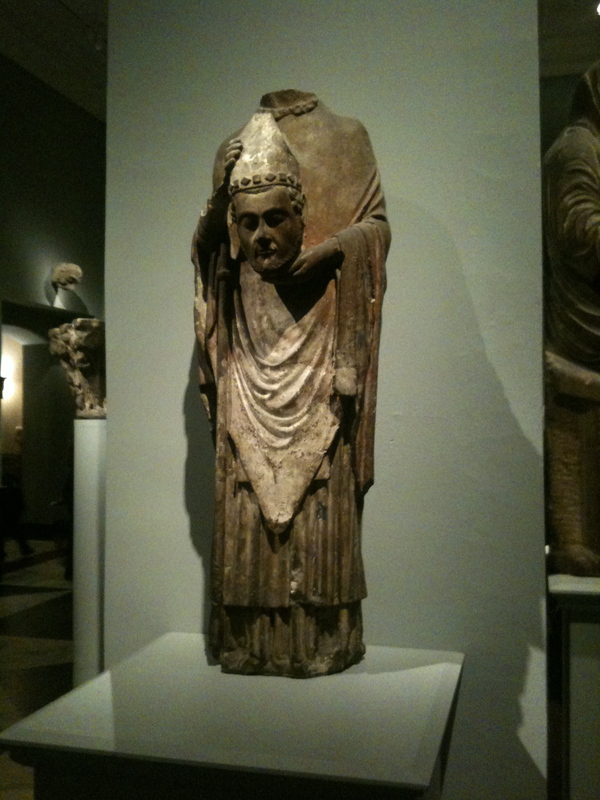 The war over icon veneration claimed many victims, but none in quite such an unusual way. Theodore died from his wounds, while his brother survived to see the triumph of Orthodoxy. Poor chap. There are more gory details to shock and delight as the centuries roll by: the Byzantium trilogy is a highly recommended read. New York’s pace and energy is infectious. I have been to a few places that have absolutely thrilled me – Istanbul, Damascus, Palermo, Amsterdam, but for that first and lasting rush of excitement it is here, and London, and nowhere else. Here or Istanbul for a ‘let’s go now’ anytime break? Too hard to say. 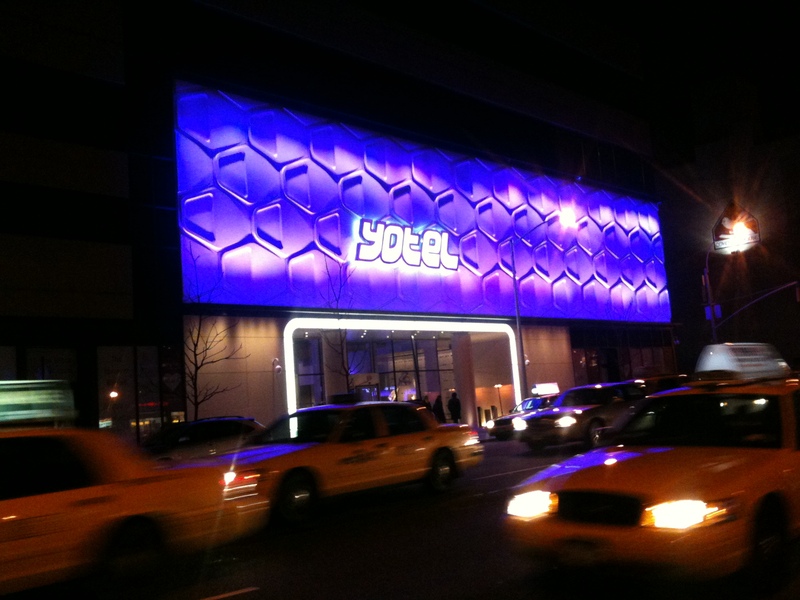 I’m staying at the Yotel Times Square, which is a long way from my favourite part of town but something of a revelation as a hotel. I was able to see Yobot, the robotic luggage porter, do its thing and check in early. The very fresh room had a decent size bed, shower, TV and fantastic Hudson River views. What moe could you want? 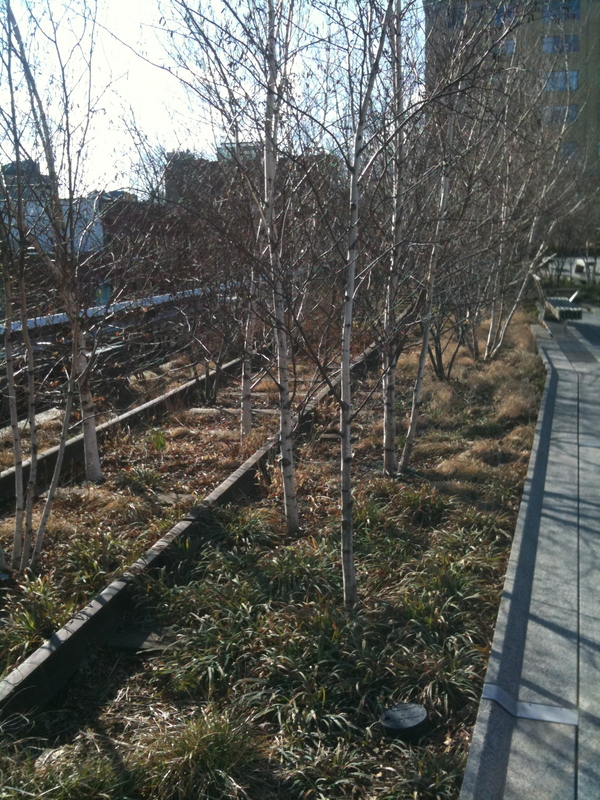 First stop, the High Line. New, unmissable, edgy, accessible. I rush it, to be honest, in the early morning cold and wind, glad for my tweed jacket and feeling like Sting’s Englishman in New York. Caffeine at Joe, the Art of Coffee (6.5/10, though they did give me another fill up when I knocked my first one to the floor in excitement), a typical Manhattan bacon and egg roll and a haircut (4/10) and my Chelsea pit-stop is done. 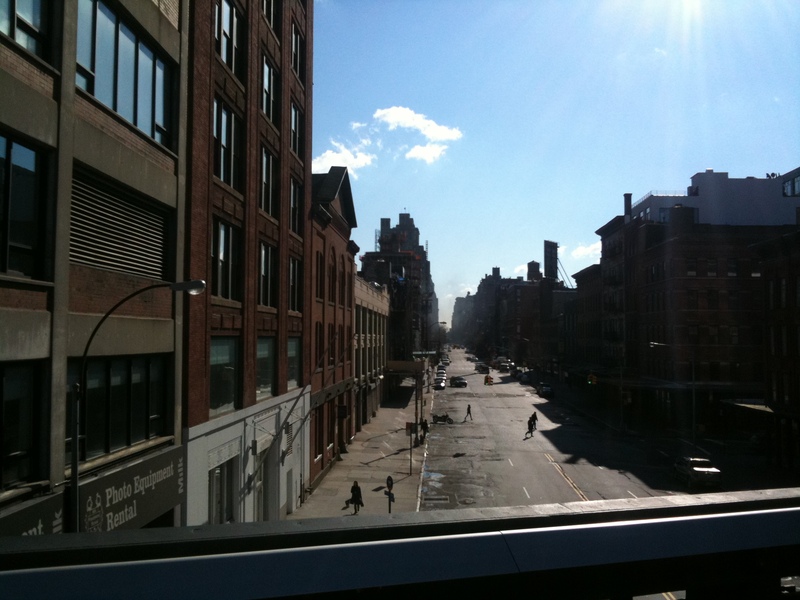 I strolled from the end of the High Line through the Meatpacking District – fully gentrified since my last visit and, truth be told, no longer terribly interesting by day. I’m sure it’s great at night but I’m not! On through Greenwich, Soho and into Lower Manhattan. It may have been a busy February Saturday but I was able to get a walk-up ticket (free, like the best things in town) for the 9/11 Memorial. 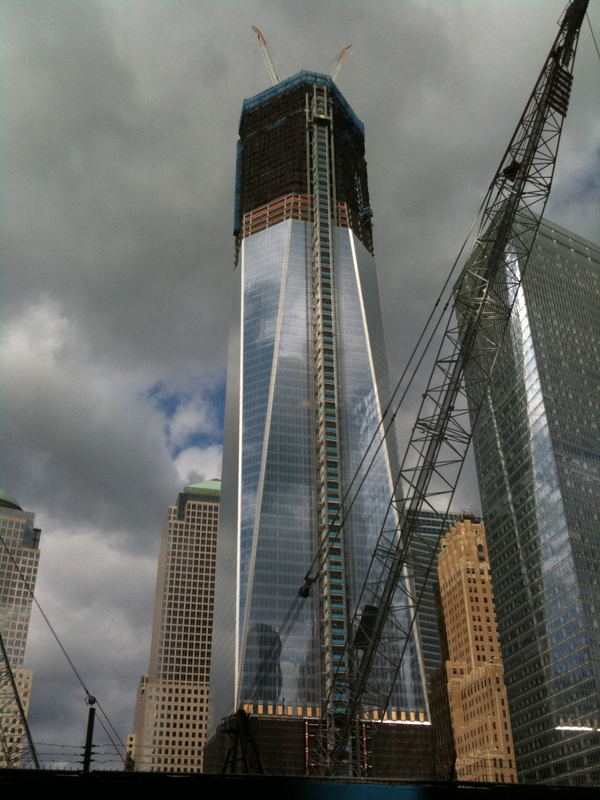 It was fascinating, moving and huge, with big crowds. Go, and consider reserving ahead. The rigourous airport style security to get in, complete with stressed-looking staff was another reminder of the legacy of that day. If you seek my memorial, look around you indeed. Next stop was Strand Books, the magical repository of dusty delights on envy subject under the sun. It is also the place that’s given birth to a million tote bags. Allow three hours for a leisurely browse of history, sport and NYC books. There’s a toilet in here which is a boon in a city that’s low on public conveniences. Good coffee nearby. It all gets a little confused after this, probably due to the effects of the previous night’s red-eye flight. At some point I passed through Grand Central twice, ate several hot dogs and slices of pizza and rode several subway trains, popping out at the Metropolitan Museum of Art. It is wonderful, undeniably, but I find the pricing structure odd. The suggested donation is a whopping $25. I paid it. The chaps in front of me paid $1. The whole thing is slightly confusingly done. It’s Byzantine galleries are magnificent and it has that air of an unparalleled cultural institution. My evening mission was to return to Greenwich to visit Rebel Rebel, a lovely record shop in a city where vinyl can be hard to find in quality or quantity. From there I headed back towards Times Square, not a part of town locals give a monkeys for but lovely at night, and the home of the Uptown branch of Shake Shack. Celebrated for its burgers,word is well and truly of about this pace and the queues were dramatic. My fault for going at 6pm on Saturday night. Then, after a quick-fix alternative nearby, a bar selling burgers and craft beer from all five boroughs (a Queens IPA was especially tasty), back to Yotel, where the city looks wonderful and a party is starting, and off to sleep.